NPower Graduate Who applied for the Npower graduate program and were unsuccessful are now been shortlisted as an N-Tech Trainee. 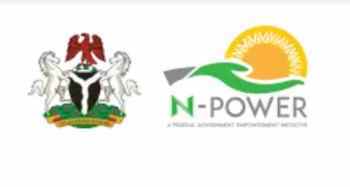 N-Power is a job creation and empowerment initiative of the National Social Investment Program (NSIP) of the Federal Government of Nigeria. NSIP targets the systemic reduction of poverty, improvement of livelihood and human capital development to spur economic growth, across various segments of Nigeria's population. N-Power targets the youth population. N-Power is designed to help young Nigerians acquire and develop life-long skills to become solution providers in their communities and to become players in the domestic and global markets. N-Power Tech Software for developers program will train, tool and position 4,000 hands-on web and web applications developers for the local and international software development market. Participants will undergo a project based model to training wherein they will be exposed to foundational software development tools as well as resources to thrive as a modern day web and web applications developer entrepreneur. The program will seek to establish the foundation knowledge, tools and platform upon which participants can pursue a career as software development entrepreneurs. N-Power Tech Hardware is a skills acquisition program that targets the training and development of 6,000 communication device technicians. These skills and capacities training include diagnostics, assembly and repair of communication devices such as mobile phones, smartphones, laptops and tablets. Trainees under this program will become selfemployed in the device servicing industry as well as become employable in the burgeoning device manufacturing industry. participants with placement opportunities within their respective localities. The program will also offer a continuity platform to support participants with learning and engagement opportunities on a continuous basis. Participants will be enabled with a device to continue the practice and exploration of opportunities after training. Disclaimer :You might need to travel to a center in another state to partake in the program. Kindly confirm your interest in the Non-graduate NPVN program, NTECH. You are to select either Hardware or Software program. Please I need a notification cause I don't know when the Ntech training commences.